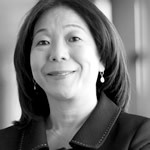 Mihoko has extensive experience in creating strategies for hiring and compensating professionals. Well recognized in the labor and social security field, she has developed a leading practice advising companies on issues involving profit-sharing plans, stock options, flexible benefits, variable remuneration, termination of contracts, prevention of health and securities liabilities, and union relationships. Mihoko also assists clients on immigration matters, including work on visas and regulatory requirements. Studied at the Academy of American and International Law, organized by the Center for American and International Law, USA, 1999. Graduate of the Law School of Universidade de São Paulo (USP), 1986. Labour Law chapter from ‘Doing Business in Brazil’ (São Paulo: Britcham Brazil Publications, 2012). Direct Investment: Setting Up chapter from the book ‘Doing Business in Brazil’ 2001 and 2005 editions (São Paulo: Britcham Brazil Publications, 2005). Brazil chapter from the book ‘International Employee Equity Plans – Participation Beyond Borders Handbook’ (London: Kluwer Law International, 2003). Mihoko is consistently recognized as a leading lawyer in national and international legal publications, such as Chambers Latin America, Legal 500 and Análise Advocacia 500. She was also nominated as “Lawyer of the Year – Labor and Employment Law” by Best Lawyers.